Tivat is situated in the central part of the Bay of Kotor (Boka Kotorska), at the unique spot of the Montenegrin Coast. This tourist destination has become very attractive recently, because of the luxurious marina Porto Montenegro, but it can also be proud of its rich history. What makes Tivat distinguish itself among the other Montenegrin destinations is the international airport, which makes it well accessible for the tourists. With construction of the Maritime Arsenal in 1889, the first foundations of the town of Tivat were built. The starting point for tourism is considered to be the construction of the Mimoza Hotel in 1958. The Bay of Tivat represents one of the four small bays within the Bay of Kotor, which belongs to the UNESCO world heritage. The best way to see the entire bay is, of course, to sail by ship or yacht. Some of the most famous features of the Bay of Kotor are legendary island Our Lady of the Rock (Gospa od Škrpjela), then the Island of Flowers (Ostrvo cvijeća), St Mark (Sveti Marko) and Our Lady of Mercy (Gospa od Milosti). The towns that must be visited are Kotor, Perast, Herceg Novi, and Tivat. Rich maritime tradition and memories of the splendid nautical past of the Adriatic can be seen today in the unique Maritime Heritage Museum (Zbirka pomorskog nasljeđa) in Porto Montenegro. 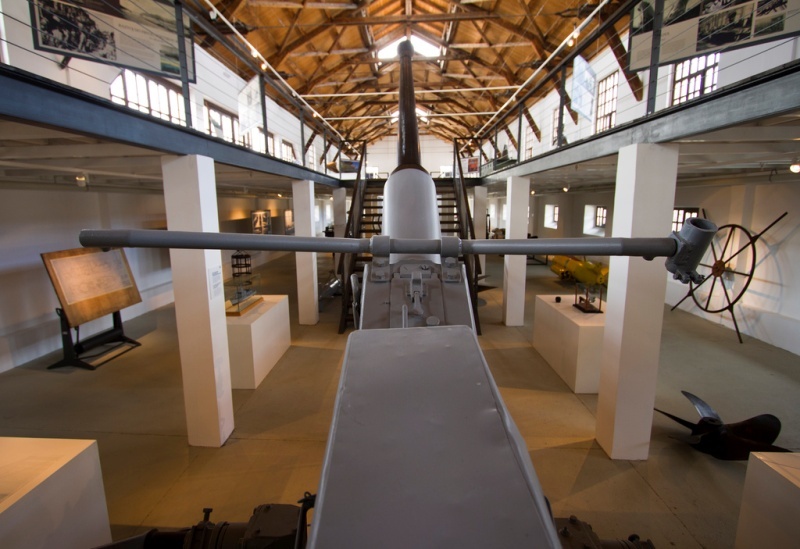 There are 300 exhibits, from Yugoslav submarines to the diary of the princess Ksenija, Austro-Hungarian maritime equipment and industrial machinery. This building used to be the saw-mill during the time of Arsenal, which represented one of the largest maritime bases of the Adriatic. The Arsenal was established by the Austro-Hungarians in 1889, and it represented the important base for maintenance and repairs of submarines, first of Austro-Hungarian and German ones, and then the submarines belonging to Yugoslavia. One particularly valuable museum exhibit that takes breath of all visitors is the submarine P-821 Hero. 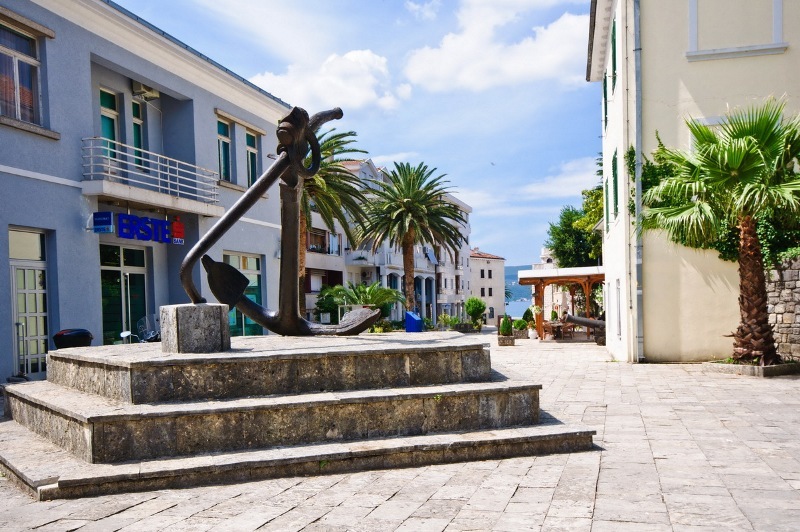 It is placed at the plateau in front of the Maritime Heritage Museum and represents the pride of Yugoslav Navy. The school ship “Jadran” (the Adriatic) was built in 1933, in the German shipyard in Hamburg. The same year, it sailed into the Tivat port, which is still her mother port. This ship has visited almost all European ports, from the Black sea to the Baltic sea, that is, it sailed over 400,000 nautical miles. The most interesting and the longest voyage, in duration of approximately 3 months, was the route Dubrovnik – New York – Boston – Dubrovnik, in 1938.
the pages of history of the Yugoslav fleet; step inside through the big hull opening; research the control cabin, military stations and all the way to the main electric power engine of the Hero. Also, the authentic stories of the submariners, the perils they were confronting, the way they lived their lives, the way they slept in foldable beds and wherever they could find some free place, are much more than just material exhibits. The Hero submarine was immersed into the sea in August 1967 in Split, and after 23 years, it was taken out of the sea to the shore, in 1991 in Tivat. It had sailed 46,659 nautical miles in total, which is the equivalent to double sailing around the earth. Today, Tivat is an attractive destination as for those traveling by land or by air, so for those sailing the sea. The first luxurious marina at the Adriatic, Porto Montenegro, not long after its completion, became the favourite stop for mega-yachts. yacht owners and special clients. The settlement may be proud of its elite suites at the very seashore, supreme restaurants of diverse world cousins, wine bars and pubs, famous international brand boutiques, as well as rich offer of sport, recreational and cultural activities and events. Walking through this luxurious settlement, one will come to the new Regent Porto Montenegro hotel, of which the appearance is such that it completes the picture of this exclusive summer resort. If we add the most glamorous yachts of today, the sight will leave each visitor breathless. 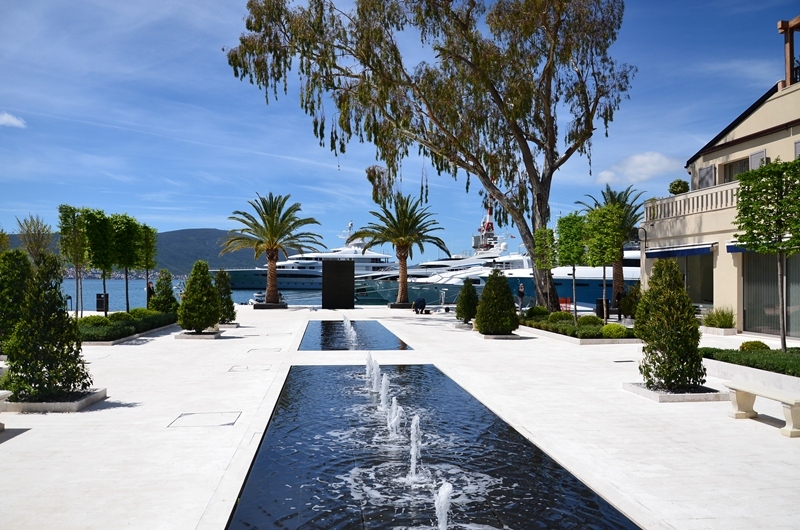 Apart from new buildings constructed during the last several years, the charm of Tivat certainly lies in its old hotels that keep the spirit of tradition, such as, at the main promenade, Palma, Mimoza, Pine and Primavera Hotel, as well as Magnolija Hotel within the shopping centre. Gastronomic offer of Tivat is enriched with many restaurants at the promenade and great number of anchored ships ready to sail around the Bay of Kotor. 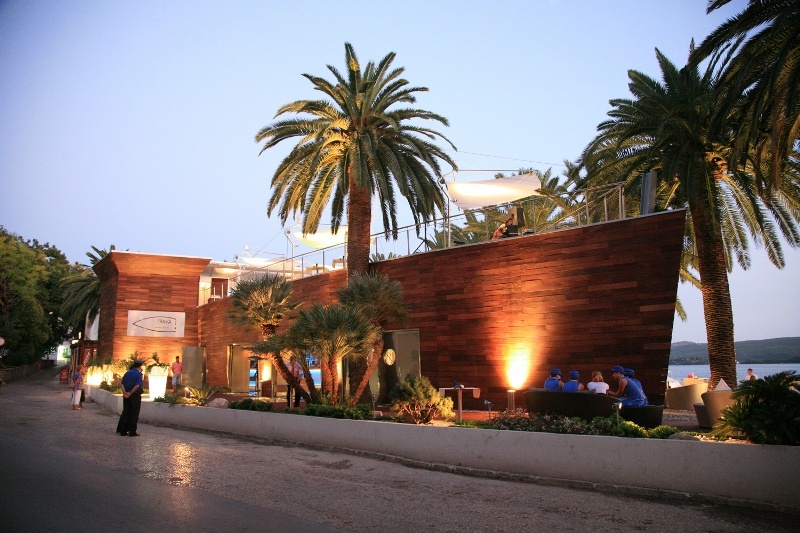 One of the restaurants, that particularly stands out with its appearance and position is the Restaurant Lounge Bar Prova. The ship prow (prova), upper terrace as the deck and lower floor as the steerage provide the complete sensation of being on the real ship surrounded by the sea. Construction of a new tourist settlement “Luštica Bay” was started at the area of Tivat municipality and is considered as the most ambitious venture of Montenegrin tourism. The project implies construction of 275 residential villas, 271 houses, 1.158 residential units, 8 hotels, two marinas, primary school, health care centre, golf course, shops… The completion of the first stage of works is announced for the year 2017.